"If it's meant to be, I'll win," 24-year-old Miranda Källhage thought to herself as she entered This Is Nuts' contest on Bodystore's Instagram account on a whim. And win she did - one week at Lapoint's IKO-certified kite school in Neretva, Croatia, as well as 5kg of snack mixes from This Is Nuts. 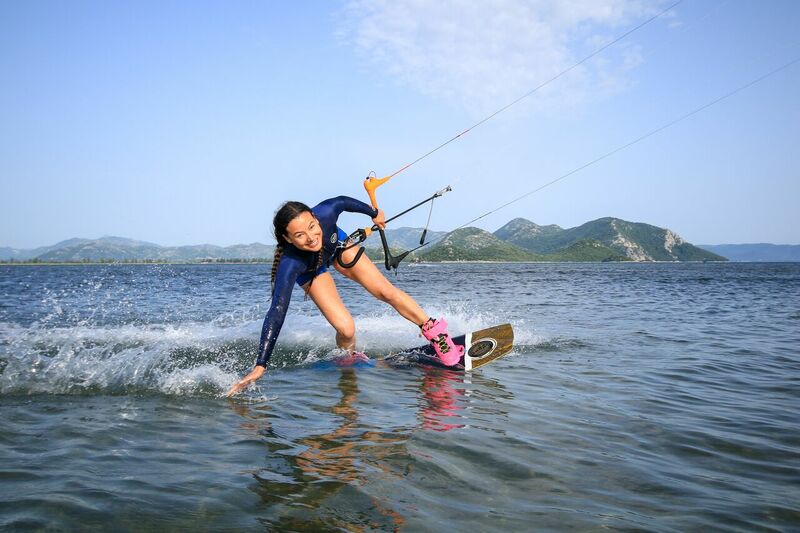 On August 11 she's off to Croatia to learn how to kite surf, and she's up for the challenge. "I love traveling but I've never done a trip like this before, so I'm super excited!" says Miranda, who works as an osteopath and personal trainer in Gothenburg. "I think it's importanat to challenge yourself and get out of your comfort zone in order to grow as a person. Maybe you have one mind set today, but everything can change - life has a lot to offer." Miranda knows a thing or two about challenges. When she was younger, she suffered from orthorexia, a condition that makes you obsess over eating healthily and avoiding foods that aren't deemed as "pure." People who have the disorder typically read ingredient labels compulsively, cut out an increasing amount of food groups from their diet, spend hours every day thinking about food and, like anorexics, restrict their food intake to the point of malnutrition. Miranda describes it as living in an "unhealthy eating disorder bubble." About six years ago, Miranda started an Instagram account, and quickly gained a lot of followers. When she finally got on the path to recovery from her eating disorder, she felt inspired to share it with them to help others in the same situation. "I wanted to cheer them on to break the vicious cycle," she says. "It annoys me when people say that it's impossible to recover from an eating disorder, because I know from the bottom of my heart that I've been 120% recovered the past two years." Today, Miranda has a healthy relationship with food and training, and lives by he motto "no musts, no guilt". She eats a nutritious and varied diet but doesn't shy away from indulging with an occasional pizza or hamburger on the weekend. Above all, she listens to her body and believes in balance. And nuts and seeds are a given part of the equation. "My favourite is the peanut, but cashews are super tasty as well," she says. Even though Miranda is a personal trainer and stays active in her free time, she's never tried kitesurfing before. "I'm a total rookie," she says. "My goal is just to go and have a good time and do my best." Would you like to join Miranda and the This Is Nuts team in Croatia on August 11-18? Sign up for our nut-themed kitesurf camp with Lapoint here. The camp caters both to beginners and experienced riders, just choose your level when you register for the camp. We promise sand, sun, surf and FREE nuts for everyone at the camp all week!